Oh I love her hair!! Simply beautiful. Hope I’m the lucky one, my daughter would adore her. If only you had heard our five year old’s squeal!!! We’d love Lila. I love her! she’s TDF!! Oooo Lila – you are a beauty! She is just precious. We would love this beauty! We would love for Lila to join us at our house. Oh my goodness! Look at all those perfect dreds! Oh, a dreaded pinkie & purple! Us please! My DD loves her! WOW! Pink perfection…sign me up!! Your bambos are getting more beautiful every upload. We would love a sibling for my youngest daughter. she says she wants to come live with me ! STUNNING!! Wow!! We have a home for you!! This my daughters name maybe its a sign :). Super cute! Love her hair! So cute! My daughter would love her! I just had to enter for this one, too. I love the different purples and pinks! Pink & Purple my little girl would be in love instantly!!! she is so sweet! Her hair is my daughter’s favorite colors. We would love her!! Ohh, I love her eyes! Oh my gosh!! This doll even looks like my daughter! So beautiful! They are all pretty. My daughter likes pink and would love this one too. Violet eyes <3 I love her coloration! What a pretty baby!..Love those dreads! Perfection in the pinkest form! OMG!!! An absolute dream doll!!! so hard to pick a favorite — all amazing! Love that hair, that face, those clothes! Totally my dream doll AND her name rhymes with mine! Love love love her! wow, look at that hair!!! amazing! Blossom…and Lila.. are so perfect!! Lovin those dreds and her outfit! Sign me up! Blossom needs to come home with us!! adorable would love her ! Love her sherbet hair! So pretty! Her hair is so sweet! So sweet! <3 Love her! Her colors are perfection, loving the dreds! This doll is so beautiful. 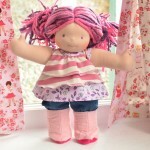 I would love the chance to get my daughter her first Waldorf doll!! This doll is so beautiful. 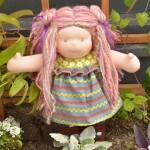 I would love the chance to get my daughter her first Waldorf doll!!! This doll is pretty. My daughter would be so happy with her. I am so in love with this adorable girl!! Oh Blossom!…What a Dream you are!..Come live with me! Love that color combination. Awesome hair! Yes Please! 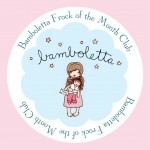 She is just like my favourite doll of all time that made me fall in love with Bamboletta almost two years ago!!! Oh, boy! She’s the one we want! Would love to give Blossom a home! LOVE her!! We need her in our home!! Count me in! We would love some surprise frocks. Ok, is it all paid at once, or billed monthly ???? surprises are awesome! here’s hoping we are picked! Oh my goodness, I love this idea. I hope I get picked!! I would love to get a new wardrobe for our Bambo! So fun! We would love this! Thanks! Oh what fun!! Would love this. Plz enter me to win. How fun! My DD would love getting a surprise in the mail every month! Yes please!! We would love this! I would love this!! So cool! it is like Christmas every month, except I don’t have to buy anything!!! Would love this!! So cool. LOVE this idea!! Keeping my fingers crossed!! Thank you so much!! Oh yes yes yes please!!!! This would make my daughter soo happy! I do appreciate your unique handwork in the dolls as well as their very darling outfits. 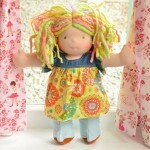 Would love to have a chance at some doll clothes (cannot believe i actually said that!) MY sewing days are long gone! I love the creativity and attention to detail in all you do. A frock surprise each month is an awesome idea! Wow, so awesome. You’re all so generous! So hoping I get a slot!! Missed the frocks upload today and would love one of these slots!! i was so bummed to miss this at the upload today! count me in with a pretty pretty please! Please add me! I’d love this. Jessa is a beautiful doll! I love her dress! My daughter would love for her to be her new baby! She’ll be 3 in September, and Jessa would be a amazing addition to our family! She is gorgeous, and her dress is adorable!!! I was really sad that about the mix up with Jersey yesterday but I believe that everything happens for a reason and I am IN LOVE with Jessa. Jessa would be perfect for my daughter Eva’s first birthday. She even has green eyes like my daughter! I would love the opportunity for her to come live with us. She’s gorgeous! Thank you! Beautiful, love to have her. She’s so sweet!! Sign me up!! Love those pale green eyes! What a cute lil’ gal. would LOVE a chance!!! thanks!! this is our dream doll right here. 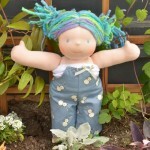 I really really (really really) hope we get to adopt her, or a similar all dred doll like her! Oh please come home to mama! Squuuuueeeeeeeee!!! Would love her over here!! She is as cool as cool sherbert. She is adorable. Thank you for the chance! Oh my gosh I love her! Squee with all that I be!! We’ve been waiting sooo long for this perfect girl! Love the colors. Trying for one like this forever! This is seriously the girl I have been waiting years for you to make. I love her beautiful spring colors. We have 6 spring birthdays in our family. She would be so well loved here! Her hair is amazing!! Pick me! Me! Me! Super sweet like candy. Love the colour combo and so does my daughter. She has the most fabulous hair! Love her! She is beautiful. Love the full dreads! And she has an adorable face! I love the purple/green/blue mix to her hair. Beautiful!…What a Lovely Lady with gorgeous colored Dreads!..A Dream Baby! she is a dream doll! please enter us! thanks so much! !